2018 is poised to be a monumental year for the cannabis industry with adult-use being implemented in the largest global consumer market (California) and the largest global capital market (Canada). We are well on our way to full federal legalization of this ancient and sacred plant, and continue to expect a nationwide resolution to the state-federal conflict in 2021. Today, 94% of Americans support medical-use while 61% support adult-use with the pace of public opinion change reminiscent of the LGBT movement. This issue has bi-partisan support with millennials comprising over 50% of the estimated ~60 million regular cannabis consumers. By a margin of 72% to 20%, Americans say that regular alcohol use is more of a health risk than regular cannabis use. The margins for tobacco (76%/18%) and opiates (67%/20%) are similar. One can perhaps attribute this rapid increase in support to further realization of the medical, economic, environmental and criminal justice benefits of prohibition repeal as evidenced in states such as Colorado, Washington and Oregon. Passed by Congress in 1982, tax code 280E effectively limits business expenses for anyone trafficking in Schedule I or Schedule II substances to ‘Cost of Goods Sold’. While the statute was originally intended to stop drug cartel leaders from writing off yachts and expensive cars, it also limits cannabis cultivators, processors and retailers from taking business expense deductions available to operators in other sectors. One of the unintended consequences is an environment that allows criminal cartels to flourish under artificial legal price inflation from tax rates as high as ~70%. While we don’t expect 280E to be repealed in 2018, we would look for it to be amended to reduce the penalty on states and businesses that have made the informed and thoughtful decision to support this ancient superfood. While the number of banks willing to take cannabis accounts has nearly tripled since 2013, it currently only represents ~3% of US financial institutions and account holders are faced with monthly charges that range from merely acceptable to completely extortionary. This results in major problems for the industry, immediately turns legal tender paid to retailers into drug money and forces otherwise compliant businesses to actively participate in what can best be described as money laundering. California alone is expected to have billions of dollars in transactions this year, and State Treasurer John Chiang has shown remarkable leadership with the formation of the California Banking Working Group (our testimony here) and with the November 7th, 2017 release of recommendations to address this issue. Included in these is the organization of a multi-state consortium with five other states already having signed letters of intent to join. Along with 280E reform, we expect to see more states to coalesce around this crucial industry issue and continue to support organizations such as the NCIA and MPP in their lobbying efforts towards legalization. The world’s sixth largest economy has just implemented regulations set forth in the Medicinal and Adult-Use Cannabis Regulation and Safety Act (MAUCRSA), signed by Governor Brown on June 27th, 2017. With a population of ~39 million and one of the largest tourism markets in the country, California is primed to garner the highest revenues of any legalized cannabis economy. Given its deep history of cannabis cultivation and the innovative Silicon Valley culture, it is also poised to become the birthplace for future global cannabis brands. With increasing cultivation competition and automation, we expect cannabis prices to experience double-digit annual declines on a 5-year basis. We could see pricing strengthen in the short-term, and investors are well served to understand the sector and valuation implications of these pricing moves. It is currently legal to possess, consume or grow cannabis in Canada for medicinal purposes. Justin Trudeau has fulfilled his election promise by introducing sweeping legislation to legalize cannabis for adult-use by July 2018. This makes Canada, the world’s 10th largest economy, the first member of the G7 to implement full legalization with banking and public capital markets support. 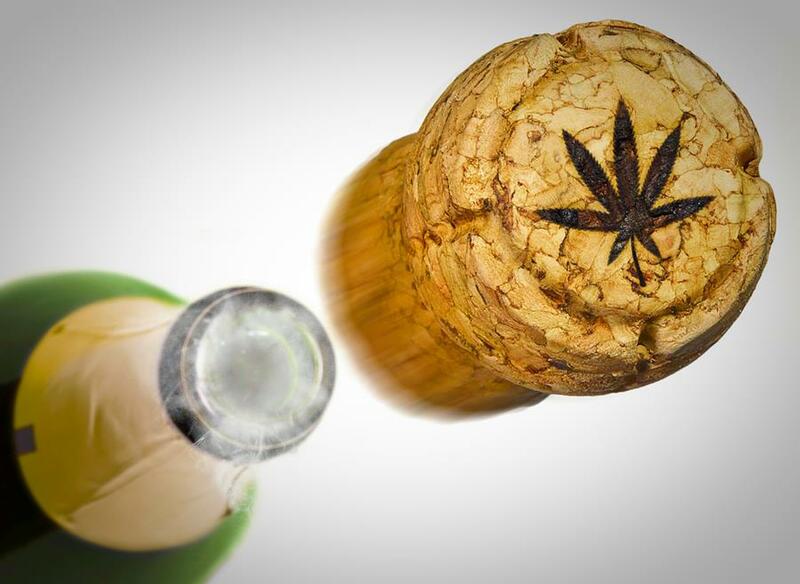 On October 30th, 2017, New York based alcohol maker Constellation Brands announced a USD $190 million investment into Canadian licensed producer Canopy Growth Corp. Watch for similar moves by large food, pharma, liquor, tobacco and agricultural companies that aren’t allowed to participate (yet) in the US market. The political pendulum has swung to the far right with one party controlling the legislative, executive and judicial branches of Government. While this happens often, it seldom lasts as we saw with the far left as recently as 2011. While all 435 seats in the United States House of Representatives and 33 of the 100 seats in the United States Senate will be contested, Democrats need only twenty-four seats to take the House and two to take the Senate. History is on the side of democratic control returning considering that in every midterm election since the Civil War, the president’s party has on average lost thirty-two seats in the House and two in the Senate. With 72% Democratic support for cannabis legalization (vs. 51% for Republicans), we expect the election outcome to shorten the pathway to full federal legalization (expected in 2021). We remain optimistic about many positive changes for the industry through 2018 and beyond. Despite this being the highest growth industry in the country, information accuracy remains a challenge with even otherwise reputable publications such as Rolling Stone seemingly unaware of the many fine cannabis lounges in our hometown of San Francisco. The cannabis sector is quickly emerging as an alternative asset class with low correlation and high demand inelasticity that will capture its rightful place in any well-diversified investment portfolio in the years to come. For nearly eighty-one years, the U.S. government has waged a trillion dollar war on unarmed plants. We are pleased to report that the plants are winning.